The Arabian horse is the usual suspect when it comes to very easily-recognizable horses. 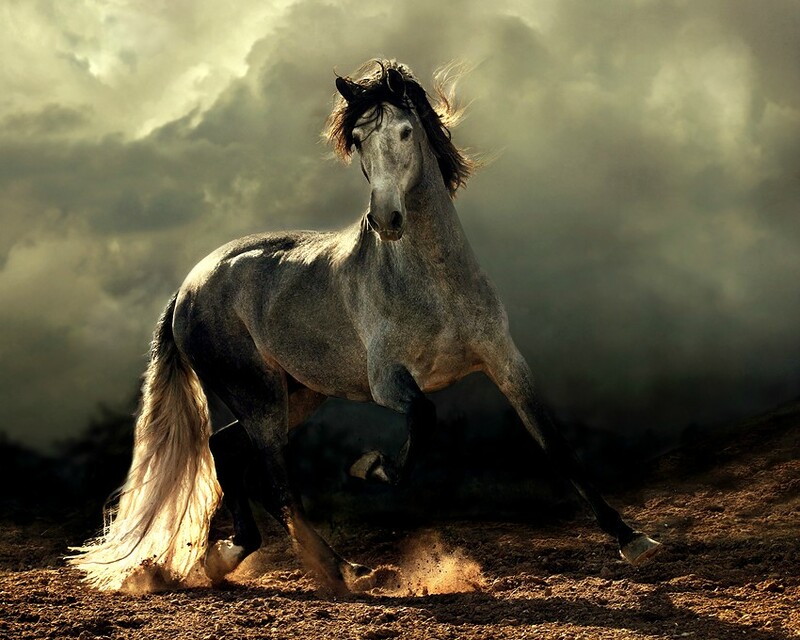 This exquisite equine friend truly deserves the mysticism and fantasy usually associated with its name. It’s said to one of the oldest breeds to have ever roamed the Earth, once native exclusively to the Arabian Peninsula from which it draws its name. Today, the Arabian horse gallops along trails over the beautiful variety of landscape in the US, over the chilly plains of Canada, over the hills of the UK, and the wild forests of South America. But of all the places in the world where the Arabian has been brought and bred, it still performs marvelously over its native sands of Arabia’s deserts, as well as over similar terrain in Africa, and most notably in Australia. We’re here to bring you all the details about this amazing equine. We’re going to talk about its traits, the shows that feature it, and the associations that keep track of the Arabian horse. So in case you want to know how to spot one, how to treat one, and especially what to look for when training one, read on. In ancient times, the Arabian horse was mainly used by riders into war. Either ridden by a single horseman or attached to a chariot, the Arabian horses were extremely popular especially in Ancient Egypt and in Mesopotamia, the cradle of civilization. Hunter also used Arabian horses attached to their carriages. They were favored over other, lesser horses since they were tremendously fast and could withstand extreme heat. Furthermore, Arabian horses were preferred because of their distinctive shape. Egyptians and Mesopotamians alike believed its curvy shape was a sign of refinement and, therefore, traded their horses, especially among the nobility. Much later on in history, the Arabian horses grew to extreme popularity, reaching the Spanish along with Muslim raiders in the 8th century CE. It could be also said that were it not for the incredible breed that is represented by the Arabian horse, much of what was the Ottoman Empire would’ve had to rely on other, less resilient horses. To this extent, it’s been well documented that the Ottomans excessively bred the Arabian for their armies, going as far as to allow breeding farms that accepted exclusively purebred Arabians. These were funded exclusively for the supply of the Ottoman Army. Later on, the Arabian horse was subject to repeated and intense breeding programs by the Russians in the 18th and 19th centuries, and again in Poland during the same period. Apart from its ancient allure, the Arabian horse has a lot of other interesting features. 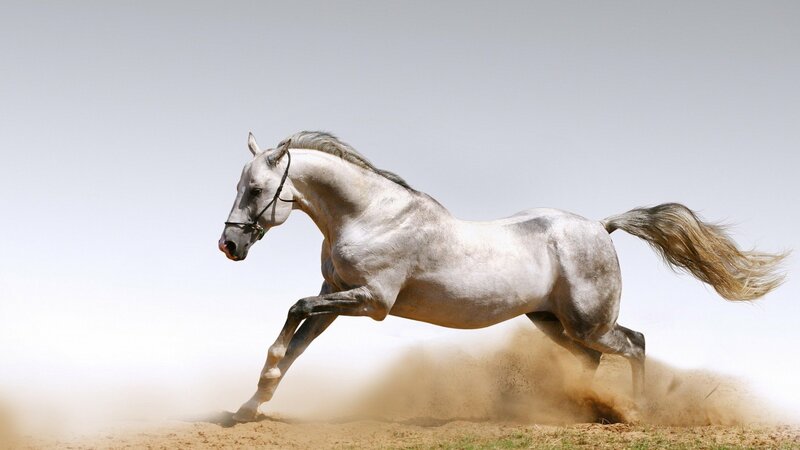 For example, did you know that the Arabian horse is one of the most intelligent horses in the world? It’s true! Also, a lot of Arab horses have one less vertebrae and one less pair of ribs, considered today to be a sing of distinction from other equines. Arabian horses have a curved neck, very large nostrils and eyes, yet very small muzzles. Their foreheads are generally very wide and their head is in the shape of a wedge. 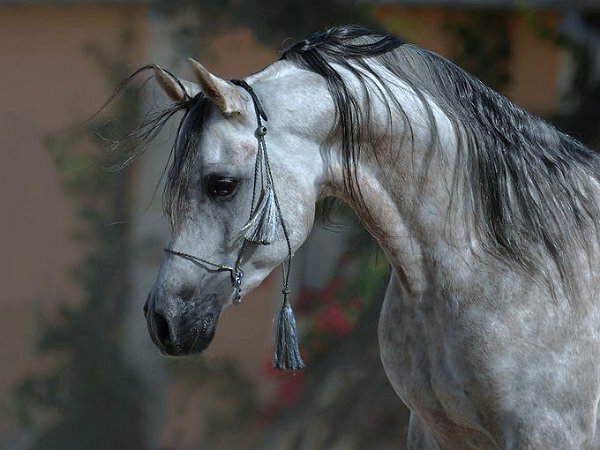 The Arab horse also displays a jibbah or bulge between their eyes. Contrary to popular belief, the large nostrils don’t contribute that much to the Arabian’s incredible breathing capacities. It is this bulge that improves its sinus capacity. 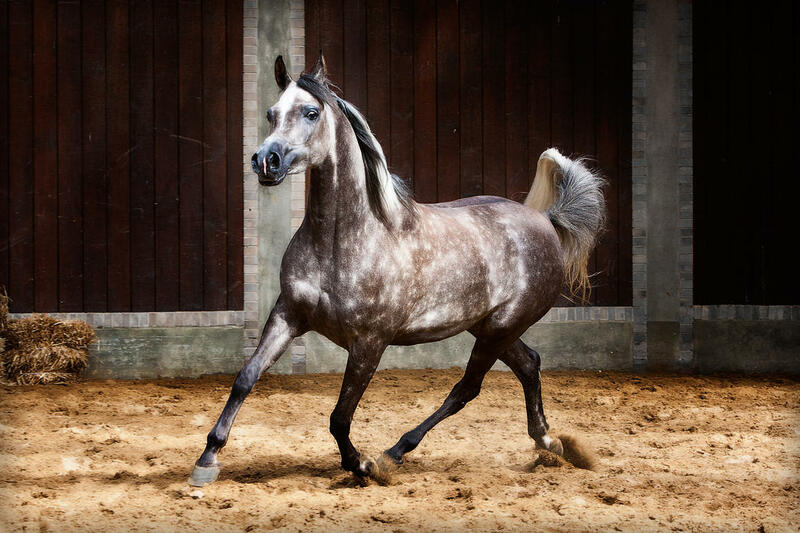 It’s believed that the Arabian horse was bred specifically by the Bedouins to have such incredibly athletic traits, good stamina, good disposition, and incredible speed. Because Arabian horses have been purebred by humans for such a long time, it’s now considered to be one of the horses most accustomed to living close to us. The original Arabian horse was meant to withstand the harshest desert conditions, often to the point of exhaustion. Still, the ancient breeders popularized this breed because it was also intelligent: once the horse feels it can’t go on for fear of death, it will stop. That’s contrary to the camel which will often go on until it actually faints from exhaustion. Arabian horses are incredibly loyal and immediately get accustomed to their human friends. The Arabs are some of the most easily trained horses, have the longest memory-span, and are incredibly curious. In the United States, the Arabian horse is being cataloged by the Arabian Horse Association, an organization former in the year 2003 through the merging of the Arabian Horse Registry of America and the International Arabian Horse Association. Before the merging, the AHRA was mainly a registry that only indexed purebred and half-bred Arabian horses in the US, while the IAHA, the youngest of the two, dealt with breeding needs, competition needs, and looked out for the interests of Arabian horse owners and breeders. Today, the Arabian Horse Association occupies itself with all of the above. Every year in February, amateur and professional Arabian horse riders gather in Scottsdale, Arizona for the Scottsdale Arabian Horse Show. The competitions that take place at the show involve show jumping, chariot racing, traditional racing, and dressage. Because of advertising and the amount of sponsors that choose to endorse this event, they also have consistent prizes available for the winners of all the contests in the schedule. If you are into breeding Arabian horses, then you’ve probably heard of the Arabian Breeders Network. It’s an online forum that facilitates a means of communication between Arabian horse breeders. The network has a lot of interesting threads where people debate the best ways to breed Arabians and which faults in an equine are tolerable and which indicate that it isn’t purebred. The Arabian horse is still one of the top breeds of the world. And it will probably stay that way for a long time. What are your thoughts on this beautiful horse? Are you at all enticed by the image that is generally associated with it? If you’re not, then you should probably try to ride a chariot like the ancients did and see how it feels. We guarantee you’ll instantly fall in love with this breed!